Many companies believe that if they utilize highly fault tolerant configurations, such as virtualization, across multiple hosts that they are protected from downtime or data loss. 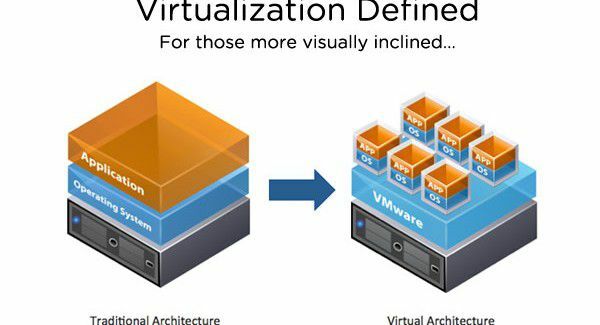 In computing terms, virtualization means creating a virtual copy of something. In data recovery terms, this means creating a copy of data to a hardware platform, operating system, or storage device. While it is true that these systems can provide more stability and uptime when compared to a single server, they don’t mitigate many of the risks. These environments often share a single data storage device (usually a Storage Area Network (SAN)) and this still leaves your organization with a single point of failure. If the SAN is down, so is your entire virtualized environment. In order to protect the data that resides within the Virtual Machines you still need to be performing regular backups on them. In order to mitigate the risks above, some companies will purchase a secondary SAN, place it somewhere offsite, and replicate the first SAN to the second. This provides much more security than not having it, but it still doesn’t suffice as a backup. This is because if the data on the first SAN is bad (something was deleted accidently, there was data corruption, etc.) then the bad data is just replicated to the second SAN. Bad data = bad backups. At ThinkGard, we make sure the quality of the data is high first. Then, we mitigate risks through multiple backup environments. Multiple storage devices in multiple long-distance locations.